SEOUL World Cup Stadium, or Sangnam Stadium as it is often referred to by fans since the 2002 tournament finished is the second largest stadium in South Korea, after the Seoul Olympic Stadium. Supposedly designed to imitate the shape of a Korean Kite, the 66,806 capacity stadium is home to successfully and popular side FC Seoul. Seoul World Cup Stadium as the name suggests, was purpose built for the FIFA World Cup which was co-hosted by Japan and Korea in 2002. 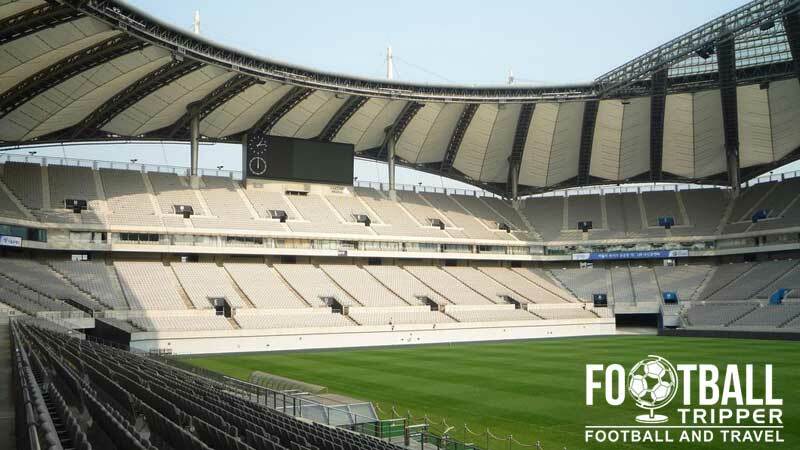 Costing a reported $185 million dollars, stadium is the second largest in South Korea behind Seoul Olympic Stadium, and ahead of Daegu Stadium. Since the tournament it has been run by a special facilities management corporation for the metropolitan area of Seoul. 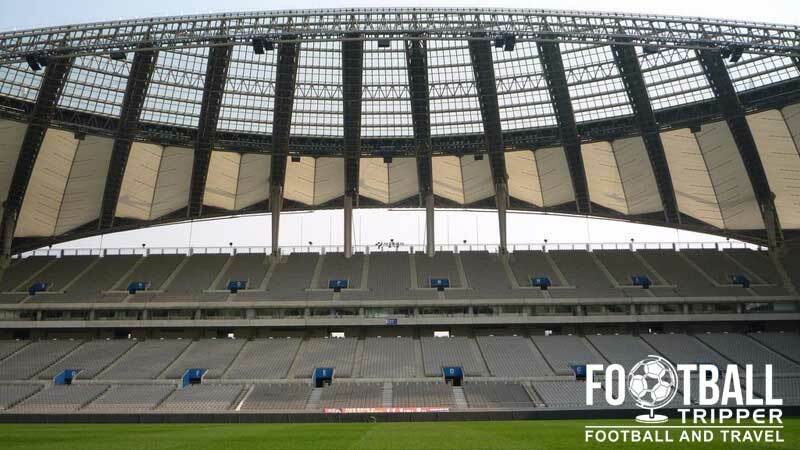 Designed to resemblance a traditional Korean Kite, the roof structure is one of the most impressive in world football and from certain angles looks like it is made out of paper due to the use of fibreglass and polycarbonate materials. Approximately 50 metres high, it supported by 16 masts, it spans over 90% of the stadium and when it is lit up at night it is said to be reminiscent of a lamp. Envisioned as South Korea’s Premier venue for the 2002 World Cup, it was selected as one of the country’s 10 venues for the tournament. 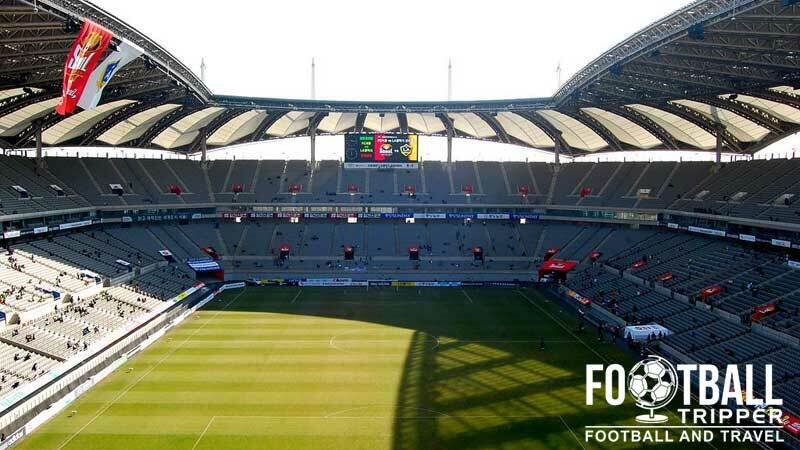 With Japan also contributing a further 10, each stadium received less games on average than usual tournaments with Seoul’s Stadium only hosting three games in total. The first match was between France and Senegal in Group A which the 1998 World Cup defending champions lost 1 nil, and the second saw Turkey defeat China 3-nil in a Group C Game. The most prestigious match Seoul stadium hosted was the semi-final between South Korea and Germany. The hosts lost 1 nil, and were unable to book a place in the final at Japan’s Yokohama Stadium. Since 2004 the stadium has been home to FC Seoul who are one of the most successful clubs in South Korea. In 2013 they reached the AFC Champions League Final, and played Marcello Lippi’s Guangzhou Evergrande at Seoul World Cup Stadium for the home leg. Despite drawing 3-3 on aggregate, FC Seoul unfortunately lost on away goals. 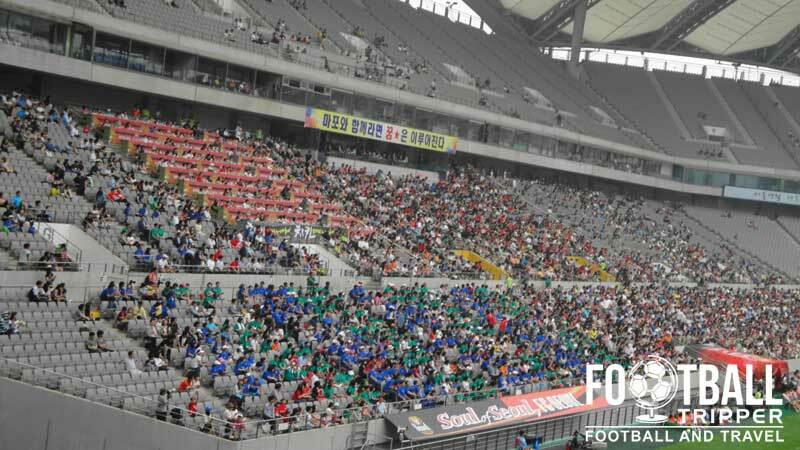 Seoul World Cup Stadium consists of the following four stands: North, East, South and West.